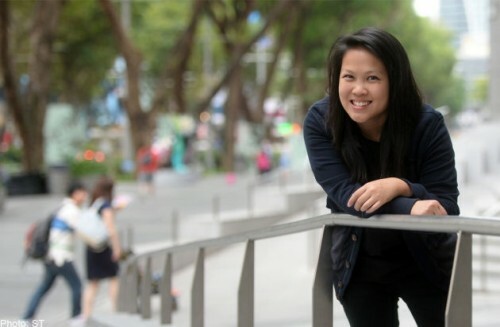 SHE is the rare Raffles Girls' School (RGS) alumna who did not take the junior college route. She went to an arts school instead, but later left to be a chef. That did not last long either and she went from writing to finance jobs. Despite the many changes, when Miss Rebekah Lin, 30, who admitted being restless in her younger days, focuses her energy on charity work, she can raise millions. Last September, she started the 50 for Fifty charity drive, where 50 young people organised events to raise money for 41 charities to celebrate Singapore's Golden Jubilee this year. In three months, they raised $3.6 million - more than half the $6.3 million that the President's Star Charity collected last November. Miss Lin got 61 corporate sponsors on board, as well as 100 partners who donated a portion of proceeds or offered venues for free. She was one of the charity drive's 50 youngsters, whom she calls "changemakers", and she organised a live music night at Wala Wala Cafe Bar. 50 for Fifty co-founder Cheryl Chong, 29, an investment sales manager, said: "I think Rebekah is someone driven by her passion. She's a great influence to other people. She also takes the time and effort to see how everyone is doing throughout the project." But Miss Lin's road to realising her passion for social causes was a long and winding one. Over lunch last week, she told The Straits Times that she was "probably the only RGS girl who didn't go to junior college". She did not do well in her O levels and kept her results from her friends out of pride. She enrolled in a theatre course at Lasalle College of the Arts instead of trying to enter junior college. "I just remained really vague about (my results) and said 'Oh, I've always enjoyed theatre', although I'd never done theatre," she said, laughing. But she dropped out a year later and worked in the kitchens of Thai Express and n.y.d.c. "I firmly believed that I was going to be a chef," she said. She had "kind of a strange wake-up call" in 2003 when she slipped in the kitchen at work and knocked over a pot of boiling water. This gave her 12 per cent burns on the right side of her body and a long hospital stay. She then took her A levels as a private candidate, got into a Nanyang Technological University marketing course at age 20, and started on a more conventional path. She took on a job at a magazine, did marketing for a restaurant group and learnt about finance at her father Andy Lim's private equity firm Tembusu Partners, before pursuing postgraduate studies in Britain. She is doing a PhD in English at Birkbeck, University of London. Her mother is former second minister for finance and transport Lim Hwee Hua. Miss Lin, who has two siblings who "went to school the normal way", said: "The one thing I guess I was committed to in all those years was really trying to find out what I wanted to do - evidently, from all the job hopping and school changing." In 2011, while working with her father, she went to a Yellow Ribbon event and learnt that the Yellow Ribbon Fund was looking for a young committee member. She wrote to the chairman and joined the committee for three years. She was involved in introducing vocational training at Changi Women's Prison, and also started a home reading programme for young children whose parents were behind bars. That was her first brush with social work and now she knows for sure what she wants to do. "A lot of people think you're supposed to know what you want to do with your life at a very young age. I think I figured it out only when I was 29. After working on 50 for Fifty, I knew I wanted to work in a non-profit organisation where I can use creative strategies to effect change." While the charity drive was very successful in raising funds, one might wonder if this was largely a result of Miss Lin's well-connected background. In response, she said her parents had no hand in 50 for Fifty and did not help to get sponsors. She said: "This movement is not about me. It has always been about the changemakers and their efforts. The money that they raised was because they worked hard. They went around and asked the people they know - not those I know." Her father, Mr Lim, 58, said: "We're extremely proud of her. When we heard about the project, we weren't sure 50 young people could raise that amount of money." Miss Lin, in turn, appreciates that her parents have been "super cool" about giving her a free rein. "I'm glad they let me make my own mistakes and learn from them."